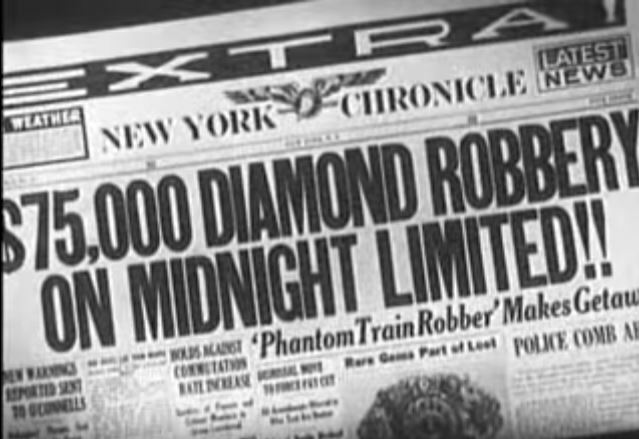 Jewel thieves are working the Montreal train! 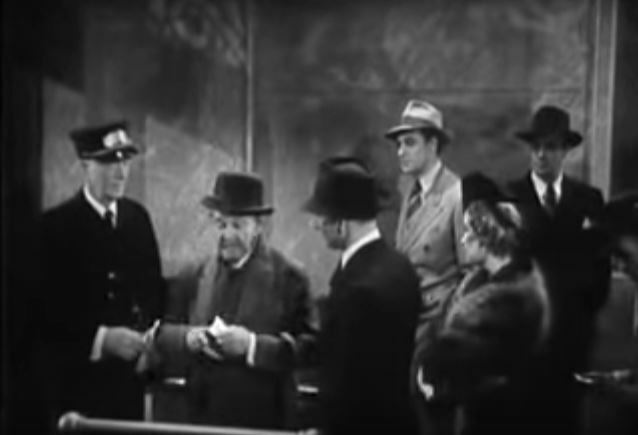 Yes, foppish rich-o’s are being relieved of their ice at an alarming rate in this shadowy B-picture from Monogram Studios (motto: We make crappy films and we don’t care). 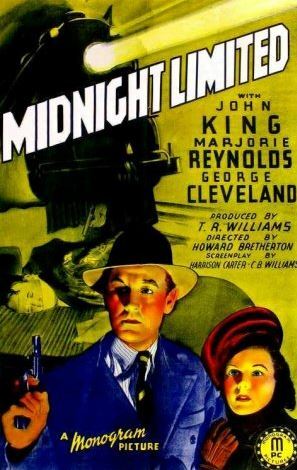 Mostly filmed on sets, Midnight Limited features 3 separate train journeys, a damsel in distress, one dramatic red herring, lots of men in snappy hats, and a little gunplay at the climax. It’s so bad, it’s good. Shall we take a peek inside? I double dog dare ya! Before we get started, it’s a really, REEEEEALLY fuzzy print of the movie. My usual apologies. 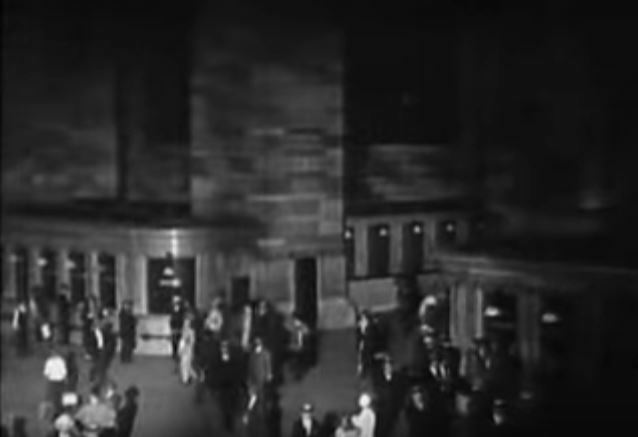 Panning through Grand Central Station in New York City; The train’s route appears on the Track 24 gate board. According to my 1948 Railroad Atlas, that’s New York Central Railroad all the way to Watertown, NY, then onto Montreal. Why the train headed 145 miles WEST to Syracuse before heading north to Montreal is one of life’s little mysteries. 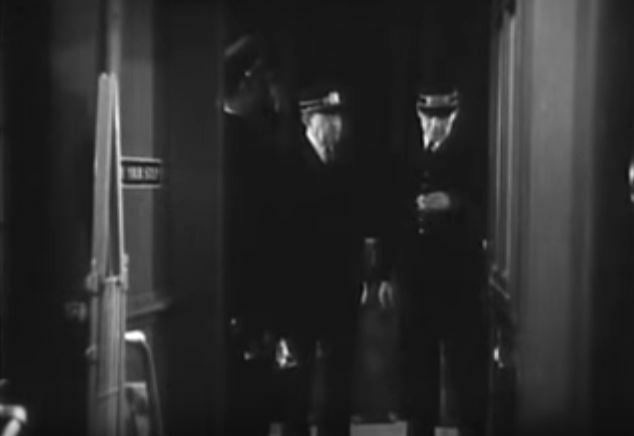 Tickets please…; The jewelry-toting mark is settled into his compartment for the ride north. 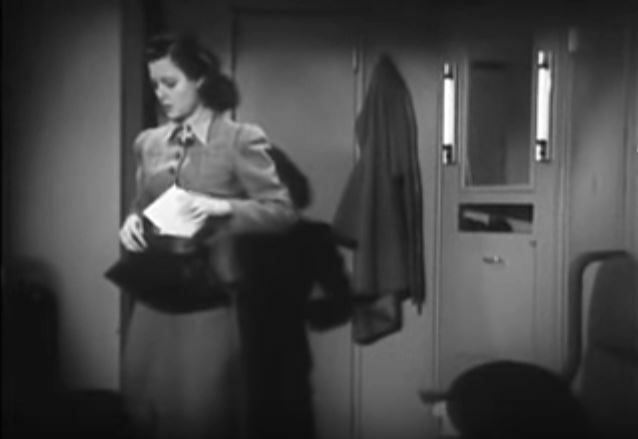 Our heroine Joan Marshall (played by Marjorie Reynolds) has the room next door; baggage is loaded, the conductors compare watches, and soon the train is steaming off through the night. 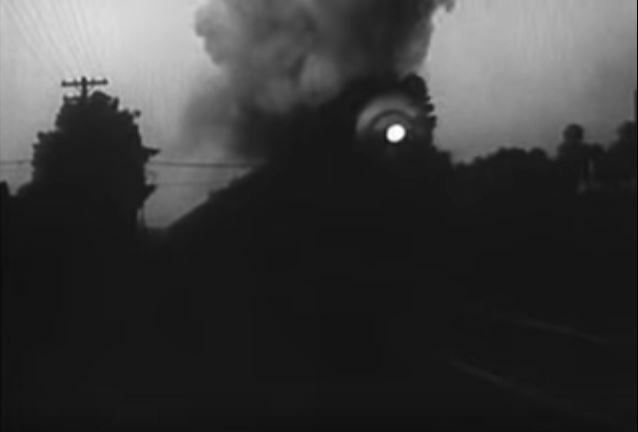 The last picture above is the only recognizable train exterior I could find in the entire film. It appears to be a Southern Pacific GS-1, GS-2, or GS-3 class 4-8-4 steam locomotive (GS-4 and above didn’t appear until 1941). Okay, back to the show. 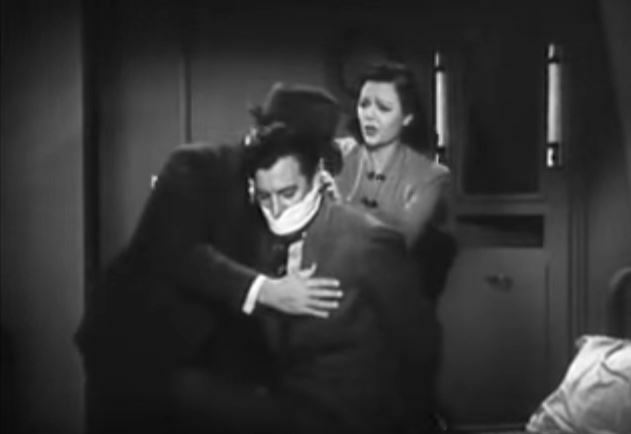 Long story short, “The Phantom” bops his victim on the noggin, scoops up the loot and threatens Joan who tries to intercede on the fop’s behalf. 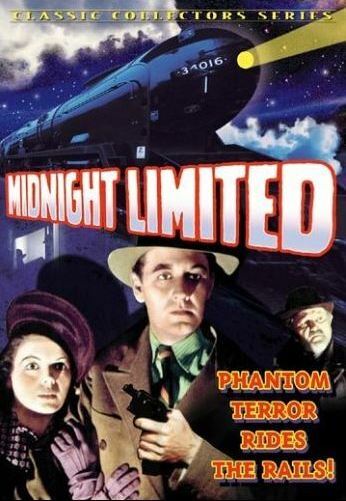 Next, Mister Phantom pulls the emergency cord, opens the car’s trap door and makes his escape. Joan shakily explains what happened to the train conductors. 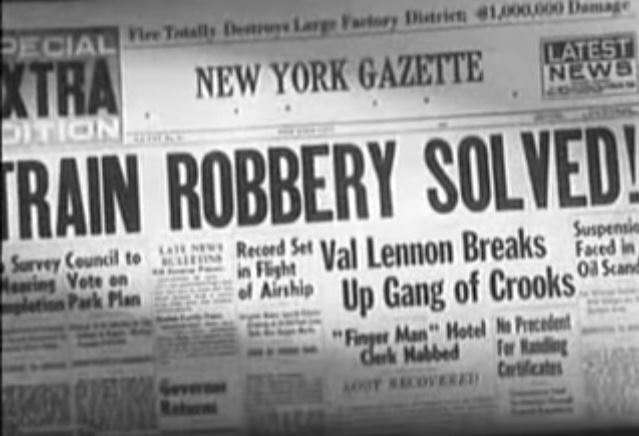 Of course the heist makes the headlines in the New York Chronicle (see image at top) the next day. 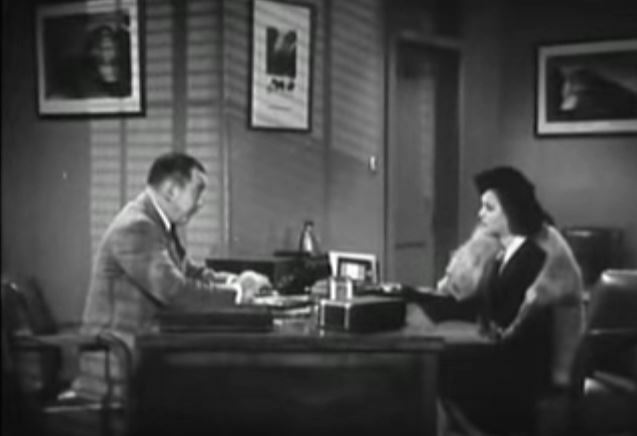 Joan trots down to see the Chief of Police of the B.G. 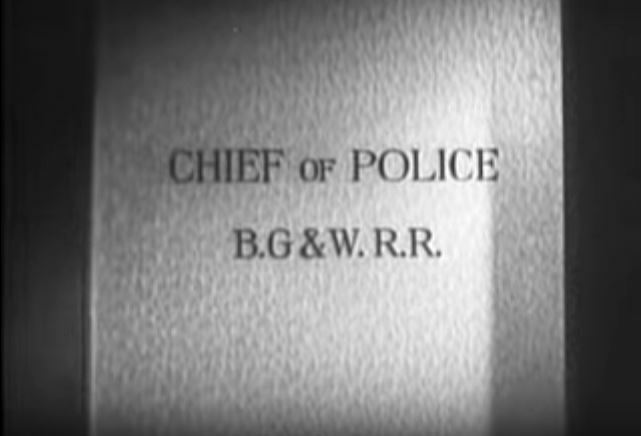 & W. RR (Bowling Green and Western Railroad??). He’s no help at all. 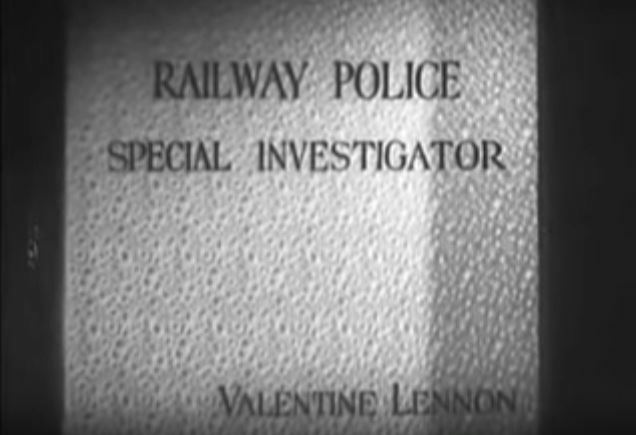 Fortunately, Special Investigator Valentine “Val” Lennon (played by John King) is much more receptive to Joan’s plight. Well, hello there! 2nd train ride. Back to Grand Central. 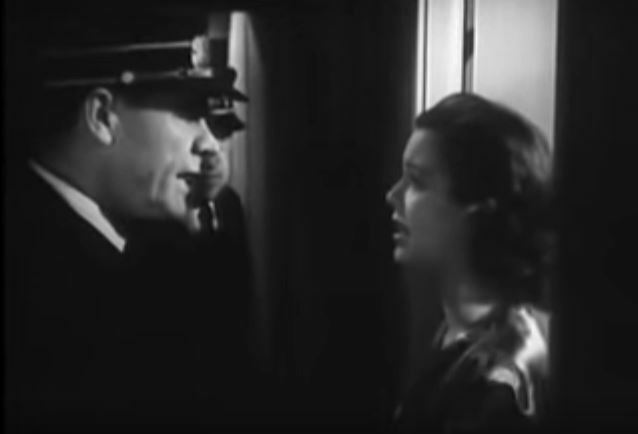 Joan points out a passenger who was on the train with her before. 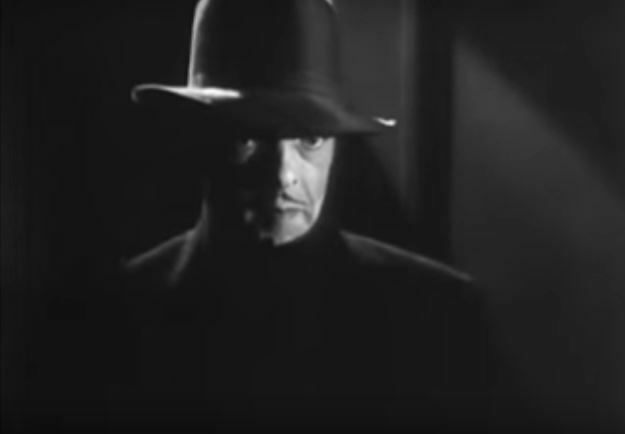 Could he be The Phantom? Nah…. 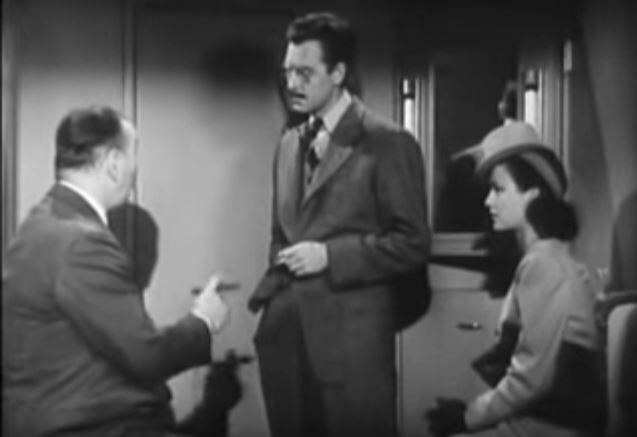 Val chats up the Professor (played by George Cleveland) and discovers he’s harmless. Meanwhile, we get our first good look at… Gasp! 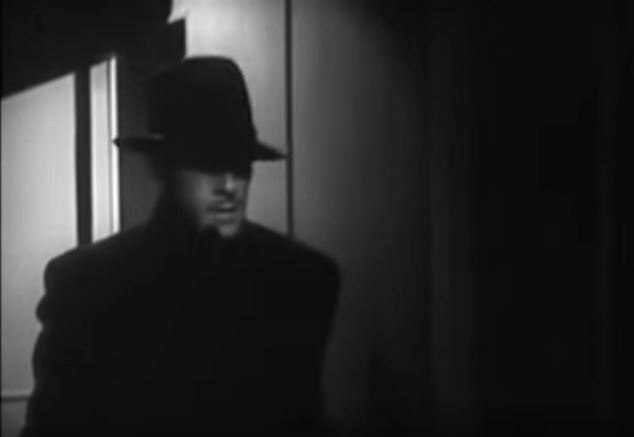 … The Phantom! 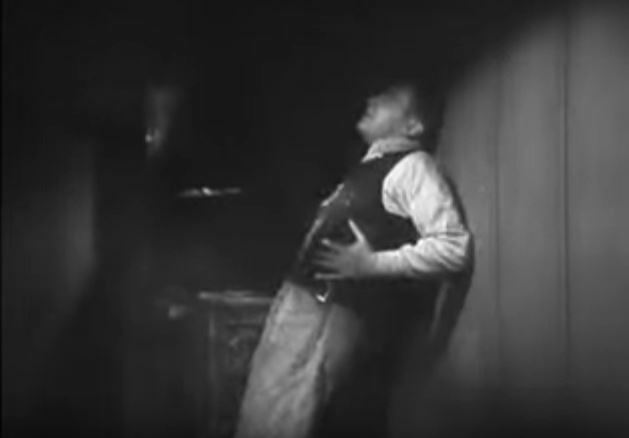 (played by I. Stanford Jolley). 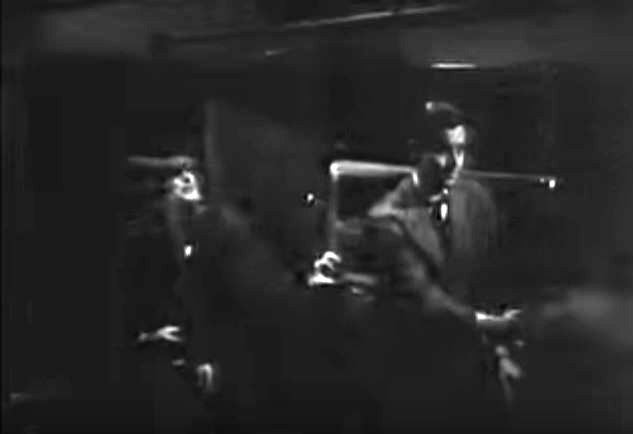 Sure enough, The Phantom robs another sap, pulls the emergency brake and escapes into the darkness. 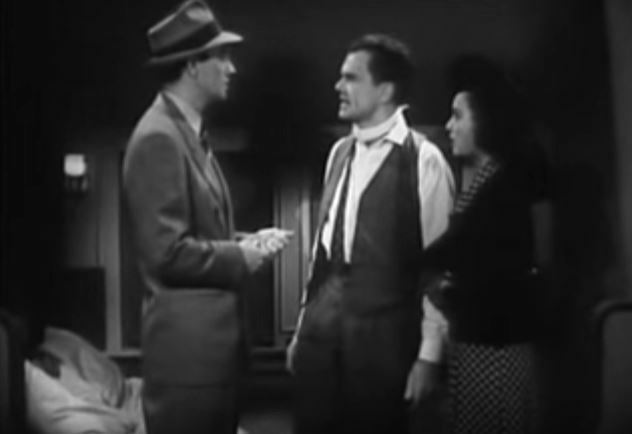 The Phantom’s latest victim is not pleased and lets Val know about it; Caught flat-footed, Val talks it over with Joan and the train’s conductor (the only actor I recognized in this movie) played by Pat Flaherty — the coach in the great Cary Grant / Shirley Temple farce, “The Bachelor and the Bobby Soxer“. Still, Val’s got his suspicions. 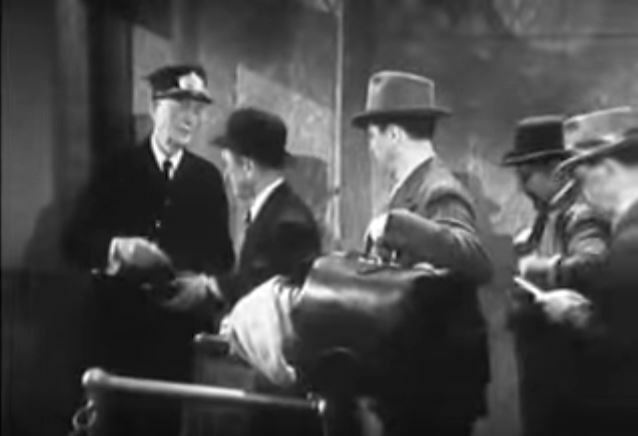 They adjourn into…the baggage car. 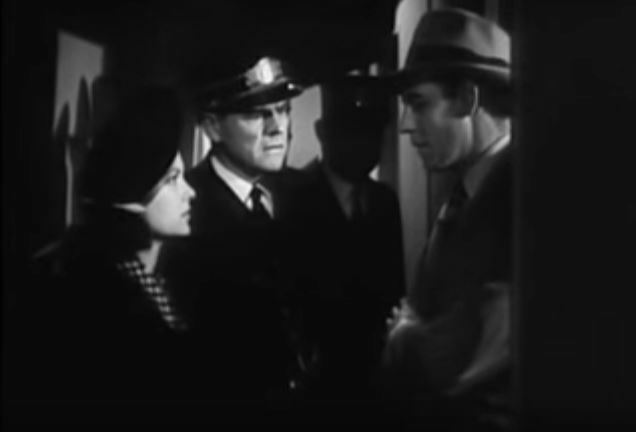 He questions the shifty-eyed baggage handler but finds out nothing useful. Third time’s the charm. 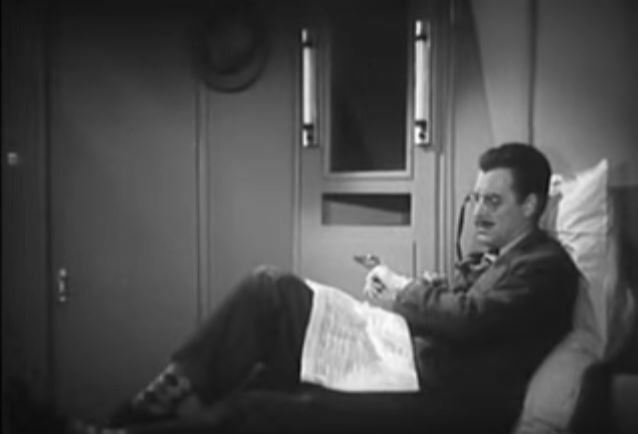 This time Val poses as the well-to-do sucker — complete with fake moustache and pince nez. 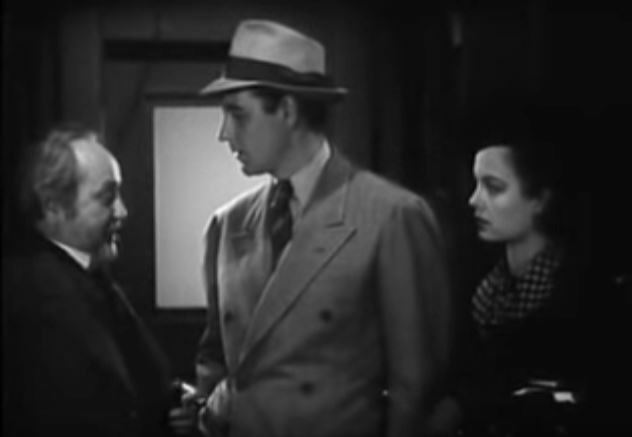 Looking even more diabolical, Phantom Boy trusses up our hero, Val. 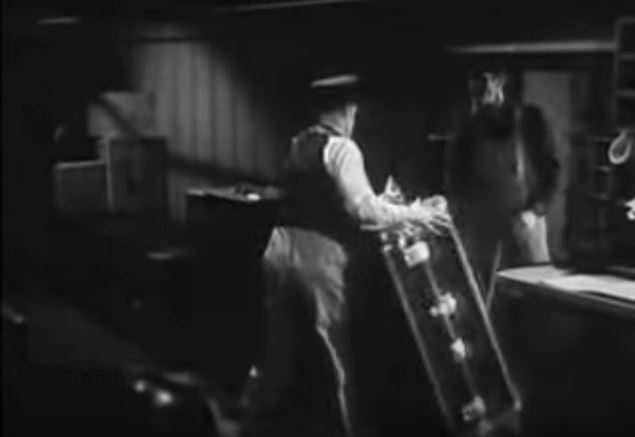 Once untied, Val leads his troops into the baggage car where that turncoat baggageman fires point blank! 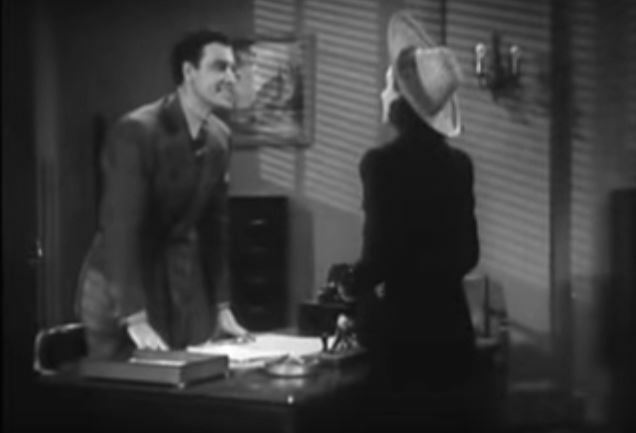 Val gets off a spectacular hip shot and guns down the package-posting miscreant. 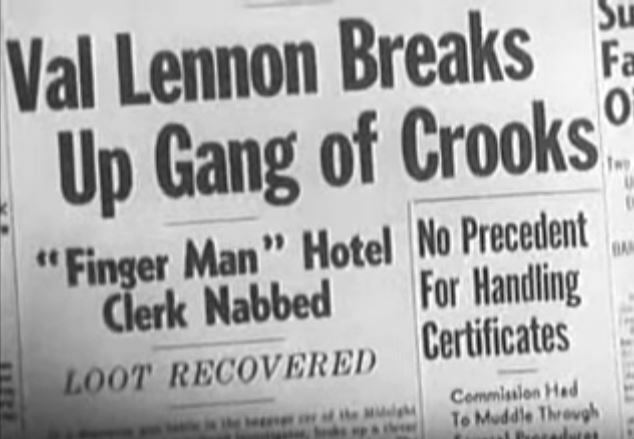 Next morning, the New York Gazette trumpets the good news. 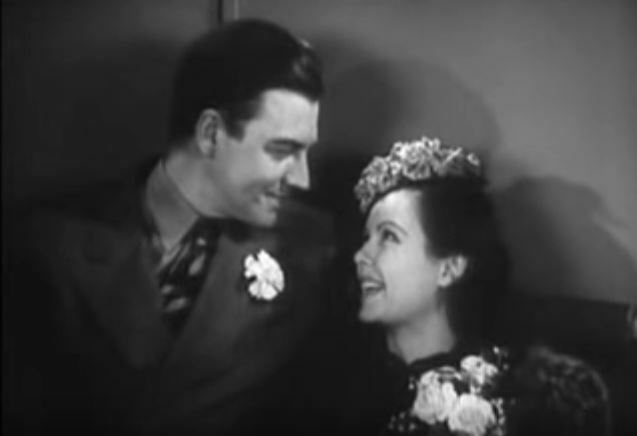 Val and Joan celebrate by tying the knot and living happily ever after. People got married back then for the flimsiest of reasons. 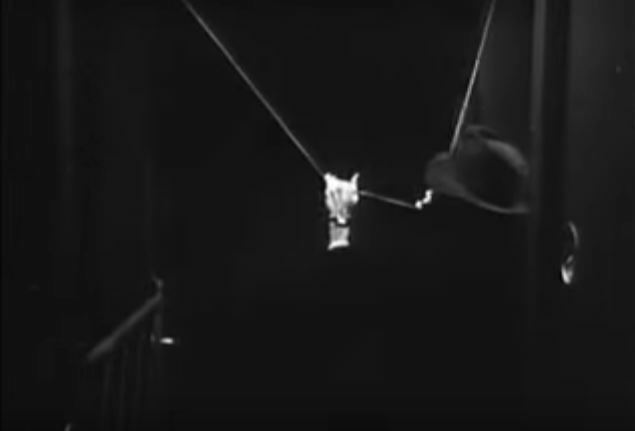 This movie was cheap, wooden and repetitious. 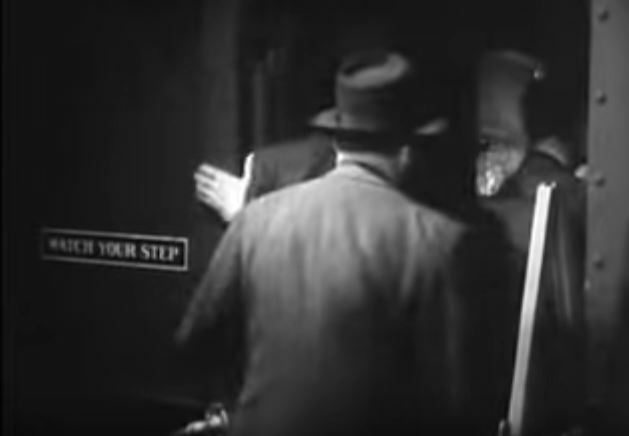 For crying out loud, you could hear the floorboards creak as they walked around on set. 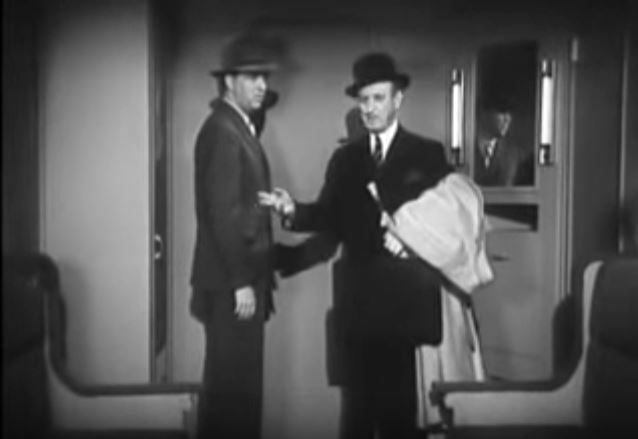 Oh, the red herring? SPOILER ALERT! 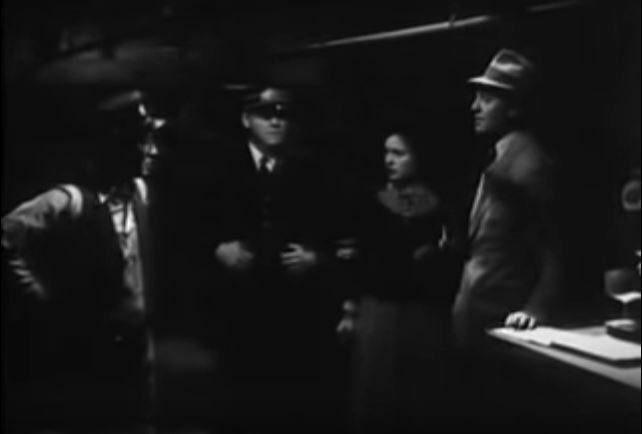 Instead of getting off the train, The Phantom headed to the baggage car and hid inside a wooden crate. That’s how he got ON the train too. 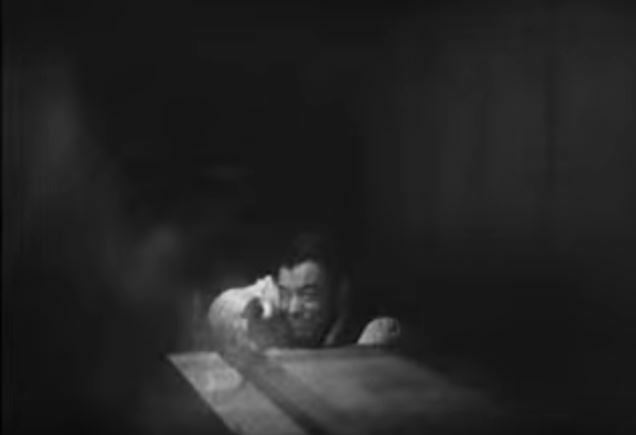 How he BREATHED inside there is another story. 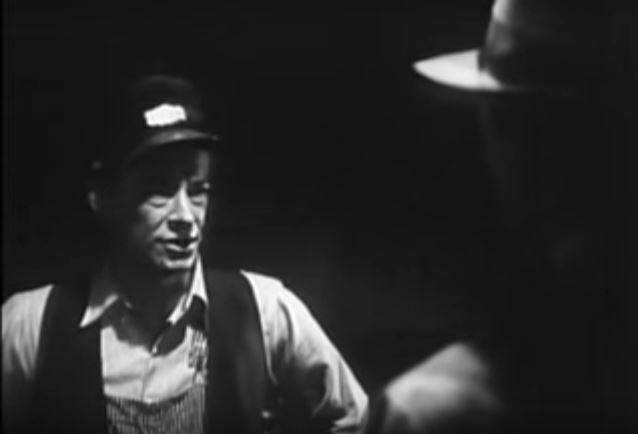 Watching obscure train movies so you don’t have to. Bon Voyage! 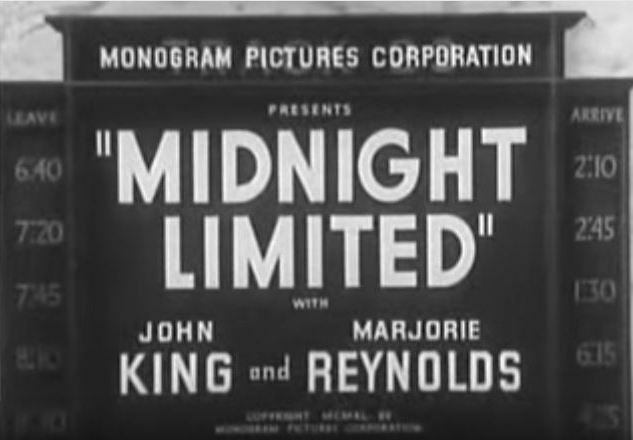 This entry was posted in Uncategorized and tagged Grand Central Station, Grand Central Terminal, I. Stanford Jolley, John King, Marjorie Reynolds, Midnight Limited 1940, Monogram Pictures, Montreal, New York Central Railroad, New York Central System, Pat Flaherty, Pullman, Southern Pacific Railroad, The Phantom. Bookmark the permalink.